“Despite every effort using the best science available, cutting edge technology, as well as modelling and advice from highly skilled professionals who are the best in their field, unfortunately, the search has not been able to locate the aircraft,” according to a joint statement issued by Chinese, Australian and Malaysian officials. The three countries had been leading the massive underwater search for Flight MH370, which disappeared en route from Kuala Lumpur to Beijing on March 8, 2014, with 239 people on board. “Accordingly, the underwater search for MH370 has been suspended. The decision to suspend the underwater search has not been taken lightly nor without sadness,” the statement said. “The decision to suspend the underwater search has not been taken lightly nor without sadness,” the statement said. The Boeing 777-200’s disappearance remains one of the greatest aviation mysteries in modern history. 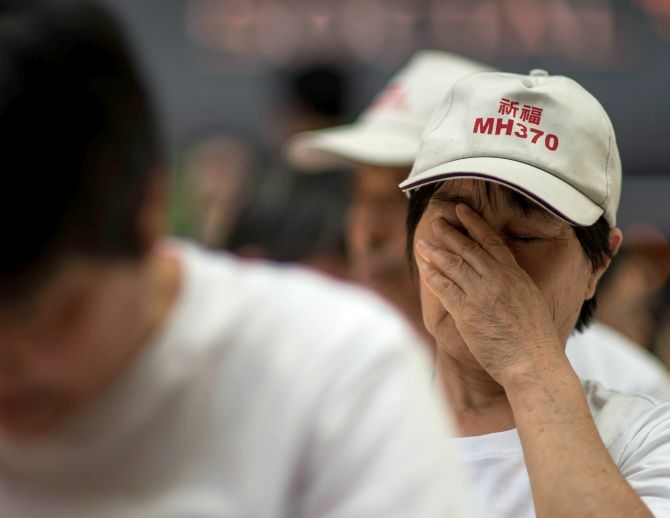 In July last year, Australia, China and Malaysia agreed that if the aircraft was not located by the time 120,000 square kilometres had been covered, the search would be suspended. There were 14 nationalities represented in the 227 passengers and 12 crew travelling from Kuala Lumpur to Beijing. The majority -- 153 people -- were Chinese. There were five Indians and one Indian-origin Canadian on board. The five Indians, including three from one family, were identified as Chetna Kolekar, 55, Swanand Kolekar, 23, Vinod Kolekar, 59, Chandrika Sharma, 51, and Kranti Shirsatha, 44. An Indo-Canadian, Muktesh Mukherjee, 42, was also on board. So far, only seven of the 20 pieces of recovered debris have been identified as definitely or highly likely to be from the Boeing 777. A report in November 2016 said the plane probably made a “high and increasing rate of descent” into the Indian Ocean. But Tuesday’s joint statement said “no new information has been discovered to determine the specific location of the aircraft” despite numerous studies, but the three countries remained hopeful this would happen in the future. Voice370, a family support group, said the search must continue and be extended to include an area of some 25,000 sq km north of the current one, recommended by a report released by the Australian Transport Safety Bureau last December. It was “an inescapable duty owed to the flying public in the interests of aviation safety”. “Stopping at this stage is nothing short of irresponsible, and betrays a shocking lack of faith in the data, tools and recommendations of an array of official experts assembled by the authorities themselves,” the statement said. According to what is known, Flight MH370 departed Kuala Lumpur International Airport for Beijing at 12:41 am local time on March 8, 2014. It was heading north but after its last message of “Good night Malaysian Three Seven Zero,” it changed course toward the west, according to a Malaysian military radar. The report suggested the plane had been out of control, spiralling downward at a rate of almost 300 miles per hour at its last satellite transmission. These findings suggested “two early hypotheses,” according to CNN aviation analyst Mary Schiavo; either that a fire on board the plane incapacitated everyone through smoke or fumes, or that a rapid decompression, perhaps because of a breach in a window, led to their deaths hours before the plane ran out of fuel and spiralled downward. March 8 2014: A Malaysia Airlines Boeing 777 takes off from Kuala Lumpur for Beijing at 12.41 am local time, with 227 passengers and 12 crew members on board. The plane is last seen on military radar at 2.14 am, heading west over the Strait of Malacca. Half an hour later, the airline announces it has lost contact with the plane. March 9: Search efforts focus on the Gulf of Thailand. March 11: The search team concentrates its efforts near Vietnam, the South China Sea and the Gulf of Thailand after a Vietnamese aircraft reports seeing a plane door off the south-west coast of Vietnam. But a search in the Andaman Sea finds nothing, and evidence begins to mount that the flight had headed west after it lost contact with air traffic controllers. March 12: The Malaysian air force denies reports MH370 was detected on radar far west of its flight path. 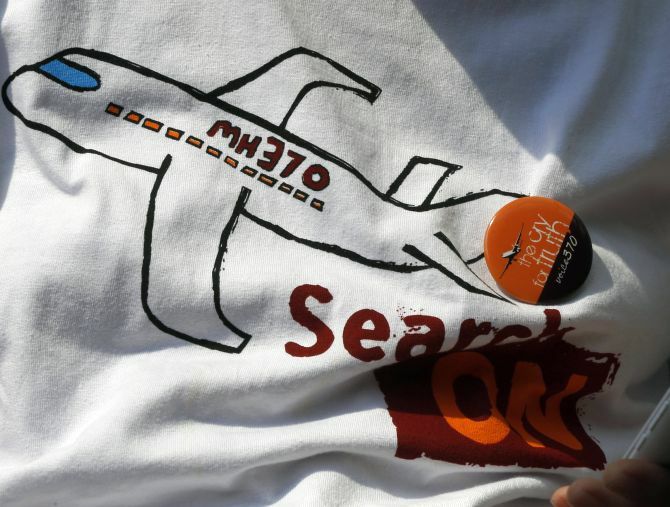 March 13: Search planes find no trace of missing Malaysia Airlines flight MH370 near the site where Chinese satellites spotted three large "floating objects" in the sea. 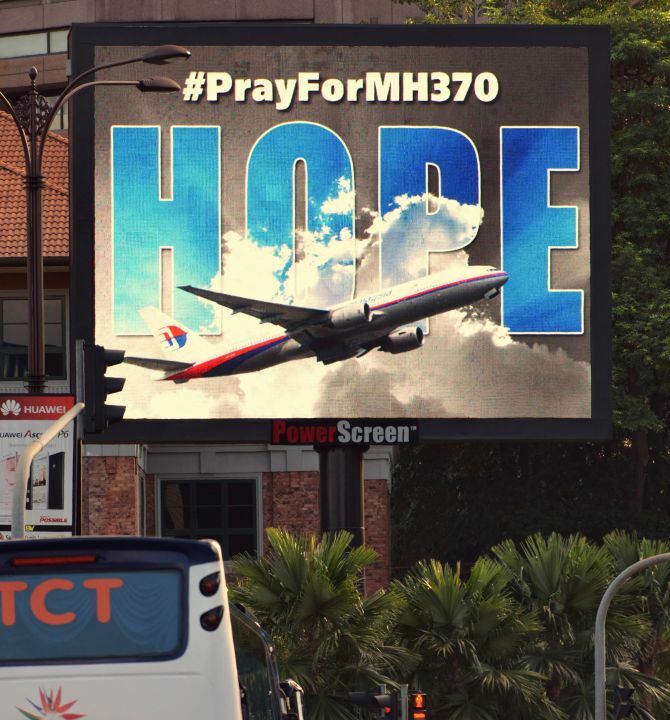 March 16: Malaysia calls for help from 25 countries as the search for missing flight MH370 expands across a vast area of land and ocean. The US, France and China were all asked for more satellite information to help find the missing Malaysia Airlines passenger jet. 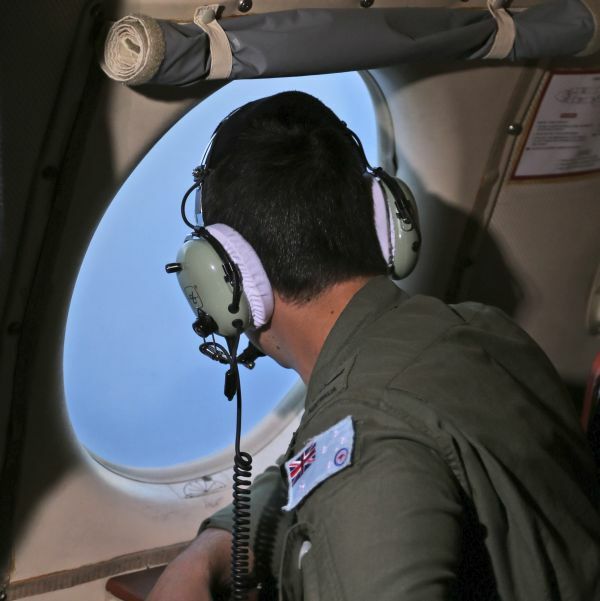 March 18: Australia leads a new search for the wreckage of the missing plane in an area 3,000 kilometres south-west of Perth, authorities announce. The Australian Maritime Safety Authority said the search zone would cover 600,000 square kilometres of ocean and was plotted using data based on the last satellite relay signals sent by the plane. March 25: Britain’s Inmarsat uses a wave phenomenon discovered in the 19th century to analyse the seven pings its satellite picked up from Malaysia Airlines flight MH370 to determine its final destination. The new findings led Malaysian prime minister Najib Razak to conclude the Boeing 777, which disappeared more than two weeks ago, crashed thousands of miles away in the southern Indian Ocean, killing all 239 people on board including six Australians. April 30: The intensive aerial search for surface wreckage from Malaysia Airlines flight MH370 officially ends, with ships also moving out of the remote Indian Ocean area where the plane is believed to have gone down. January 28, 2016: Malaysia’s Department of Civil Aviation officially declares the case an accident, having concluded the aircraft exhausted its fuel “over a defined area of the southern Indian Ocean”, but adds that efforts to find the plane will continue. July 29, 2016: A large piece of plane debris washes on to the shore of Réunion. The Malaysian prime minister later says the debris is very likely wreckage from a Boeing 777, and that it is being sent to France to establish whether it is from flight MH370. MH-370 enigma: Is there a top-secret India angle?